I’ve really been spoiled this month. As you can probably guess without me having to tell you, I look at a lot of plugins. You don’t get to produce plugins of the months posts without spending a lot of time trawling through the WordPress.org Plugins Directory. All in the name of finding some absolute gems for you guys. I know – I’m a martyr. Having said that, I face a dilemma this month in that I personally want to install quite a lot of the plugins below. I’m constantly having to keep my plugins in check for fear of overloading my blog (although the number is of course not important), and quite frankly, what I’ve found below isn’t helping me. If that hasn’t sold you on the quality of the offerings below, I don’t know what will. Enjoy! We all know about plugins that can automate postings to Twitter and Facebook, but it seems that Google+ has been a bit more of a challenge for developers. WPGPlus intends to resolve that issue by automatically publishing new posts to your Google+ account when they are published. The updates are posted to the “Public” circle (which is rather handy, as I am sure that you want everyone to see your posts). What is also cool is that you can use the excerpt field in WordPress to populate the excerpt field in Google+. By his own admission, the plugin author is still working on seamless output, but the plugin seems to work pretty well as is. Managing plugins and themes that are hosted on WordPress.org is an absolute piece of cake. You are automatically reminded of upgrades, and with ManageWP, you can use the one click upgrade feature to keep everything in check. It’s often not so easy with other themes and plugins though – typically ones that you manually upload as a zip file. You have to deactivate and delete the existing version, then upload and activate the new version. It’s not ideal. But thankfully, Easy Theme and Plugin Upgrades sets out to resolve the rather clunky manual method. All you have to do is upload the new zip file from within your WordPress Dashboard, and the plugin will take care of the rest! Download Easy Theme and Plugin Upgrades. It seemed quite fitting that this plugin appeared on my radar this morning, given that I published a WordPress tags guide just yesterday. If you’re a tagging fanatic and intend to use your tags as a genuine navigational aid, Ultimate Tag Cloud Widget could be right up your alley. The Ultimate Tag Cloud Widget offers an insanely long list of customization options – far too long for me to show here in fact. Just take my word for it that this plugin gives you total control over your tag cloud (or alternatively, treat me with a healthy level of suspicion and check out the screenshots). Download Ultimate Tag Cloud Widget. In my opinion, such buttons are really useful for web pages that are particularly long, because let’s face it – we’re all too lazy to use the scrollbar (and we don’t all have “Home” buttons). For what you would think is a relatively straightforward plugin, Dynamic “To Top” has a plethora of customization options – again, far too long to show here. But rest assured that you will be able to get that button to look just how you like it. Download Dynamic “To Top” Plugin. Alright, so perhaps this is a bit of a selfish inclusion, because I was basically looking for a plugin that would do exactly this, and it landed on my lap. We’re not all developers – we don’t all know the relatively simple PHP code that can do stuff as simple as displaying post based upon basic criteria. So we need a little helping hand from those who can do this things with ease. 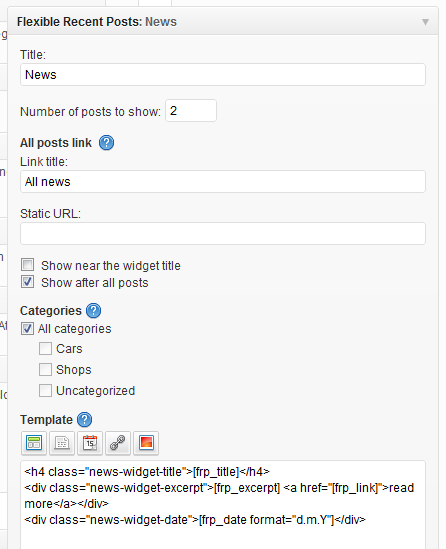 Display Posts Shortcode enables you to easily display lists of posts with (you guessed it) a shortcode. You can list posts based upon categories, tags, post types, and more. You also have control over what is displayed – the date, the excerpt, and the featured image. Having just featured a plugin that is for the less than technically gifted amongst us (myself included), it only seems fair that I follow it up with a developer’s tool. The needlessly hyphenated Theme-Check allows you to test any theme against the latest WordPress.org theme review standards. This plugin was developed by a couple of prolific developers (with 29 plugins between them), and its near-perfect star rating is indicative of its quality. I’m all about lazy loading. It’s a no-brainer really, in terms of delivering your website to the user in as short a time as possible (and we all know how important speed is). The Lazy Load plugin uses jQuery.sonar to only load images when they are within the viewport. I do not know what jQuery.sonar is, but it sounds suitably technical. What is perhaps more telling is that Automattic were involved in the development of this plugin. Note: at the time of writing this plugin has a major security vulnerability. Please make yourself aware of the risks and install at your own risk! Being the non-technical type, I have been waiting for something like this for a long time. phpMyAdmin is the bane of many a WordPress beginner, as it is a clear departure from the user-friendly Dashboard interface (and can be tricky to access). But often, getting your hands dirty with phpMyAdmin is a necessity. If that is the case, then Portable phpMyAdmin makes the whole experience a little less intimidating, by allowing the user to access phpMyAdmin from within the WordPress Dashboard. The plugin release type is currently alpha, so you may encounter issues. Having said that, there have only been two support threads submitted in the last two months. All this plugin does is limit the search to post titles (instead of post titles and content). It’s rather rudimentary, but it does a far better job than the core functionality (in my humble opinion). 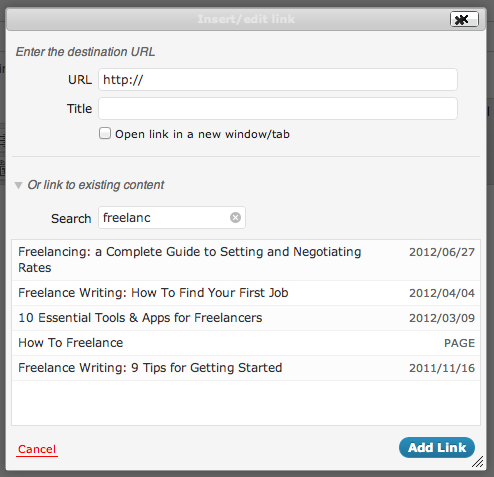 I installed this on my own blog without hesitation – I know it’ll make internal linking a lot easier for me. 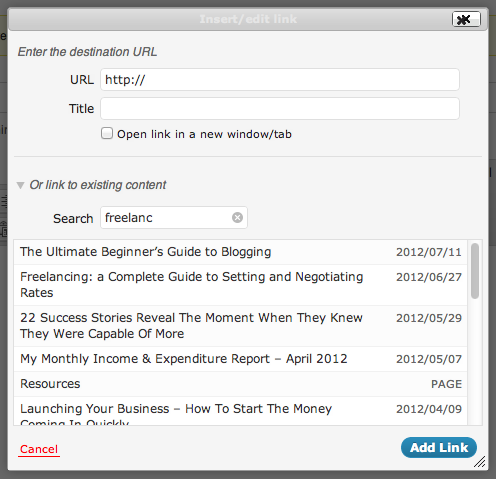 Download Better Internal Link Search. Thanks for the heads up Shea — I’ve updated the post accordingly! Great list of plugins some of which I also haven’t used or heard of! I always enjoy getting your monthly list and adding my favs of your favs to my ManageWP Dashboard. Keep up the good work. Your company has really made a big difference in how we are able to manage and support our customers. Thank you for doing what you do so well. We are happy to do so and it is nice to hear that what we do has a purpose. We were looking for a recent posts plugin, so thank you very much! Super list, as mentioned I too have not heard of some of these but so very useful. nice list and look forward to a few more reviews. ManageWP is super by the way from a new user here. Great work to you all. I suppose it’s a personal thing and everyone’s list will look different. 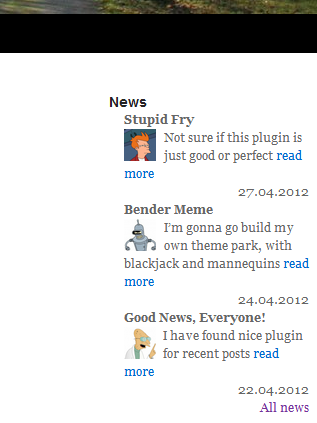 These are best plugins of July 2012 and not overall of all WordPress plugins. The point of this list is to show you what is new and maybe worth checking out, and we do this every month. Sorry mate. I have a tendency to jump the gun plus I’m a ManageWP noob. Look forward to future articles. On the plus side, the fact that you have never heard of the plugins is encouraging, because that is precisely the idea – to introduce new stuff to you (rather than the same old plugins you’ve read about a hundred times before). I thank to both of you, I found a couple of useful plugins for me from both list.